Great Guy is a 1936 crime film starring James Cagney and Mae Clarke. In the film, an honest inspector for the New York Department of Weights and Measures takes on corrupt merchants and politicians. Great Guy was the first of two films James Cagney made for independent film company Grand National Pictures, after he successfully broke his contract with Warner Brothers. 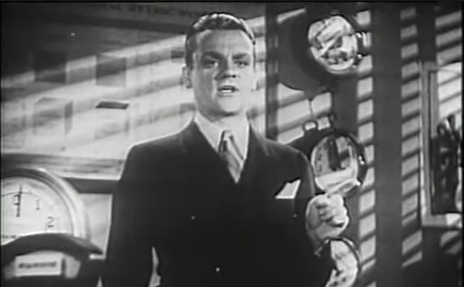 After completing his second film, the musical Something to Sing About (which was not a financial success), Cagney returned to Warners. The technical adviser for the film was Charles M. Fuller, who was the Los Angeles County Sealer of Weights and Measures. The story was based on several written pieces that appeared in The Saturday Evening Post in 1933 and 1934, written by James Edward Grant. Early press releases for Great Guy list Henry McCarty, Harry Ruskin and Horace McCoy as contributing writers for the film, but later on, McCoy was dropped from credits, and Henry Johnson was added as a co-writer.